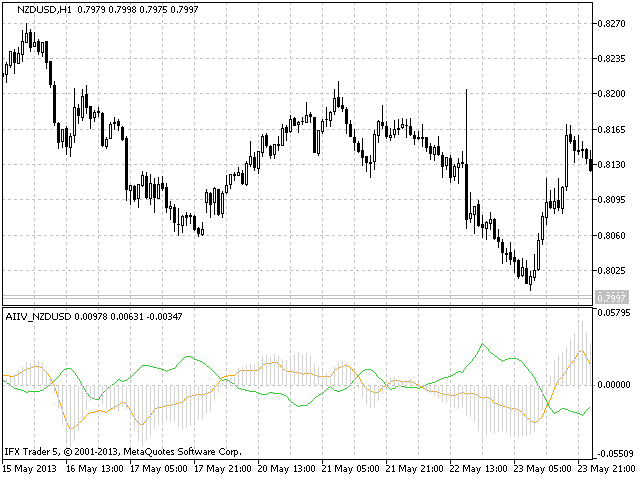 The intensity and the direction of the movement of NZD. 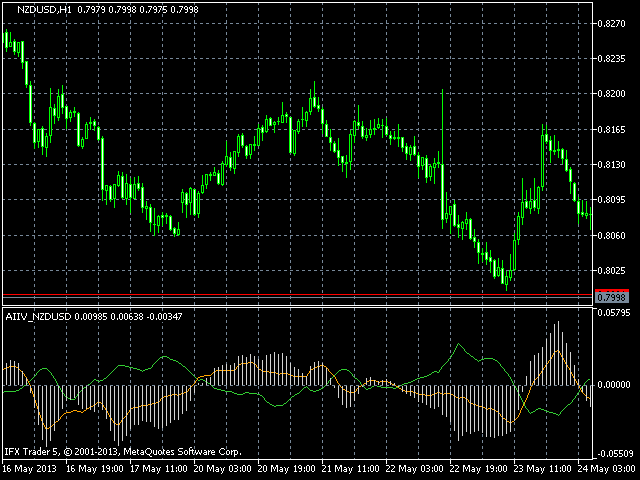 The inflection value of NZDUSD. 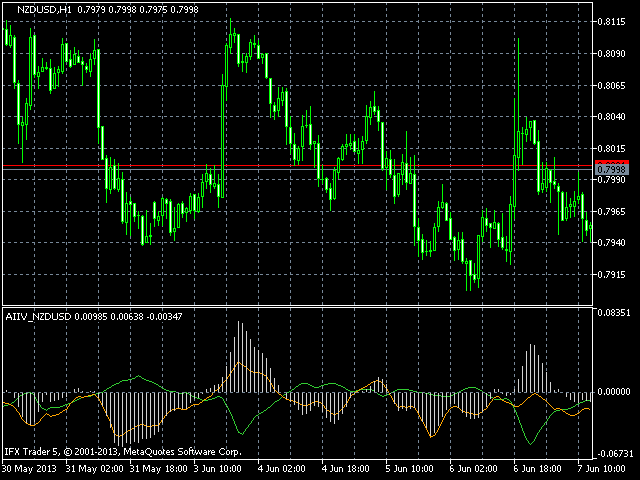 The indicator works correctly on condition that the data for the following instruments is available: NZDUSD, EURUSD, USDJPY, USDCHF, USDCAD, GBPUSD, AUDUSD, EURNZD, NZDJPY, GBPNZD, NZDCAD, AUDNZD, NZDCHF. 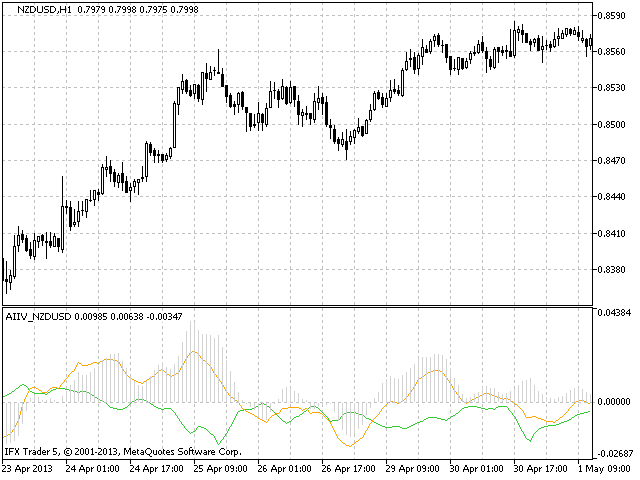 The indicator draws two lines and one histogram. 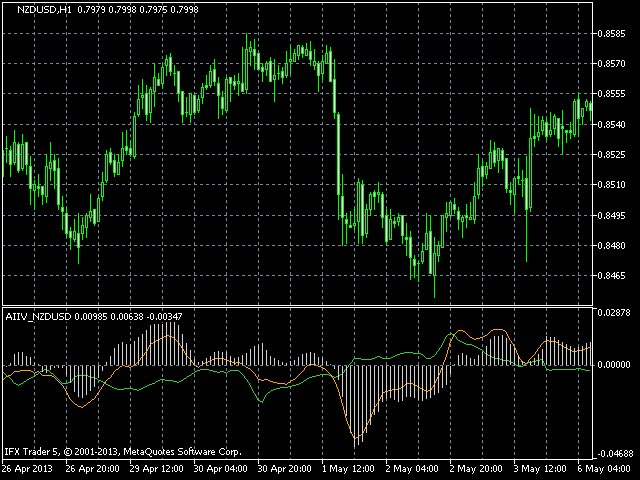 On default, the green line displays the direction and intensity of the movement of USD, and the orange line - NZD. 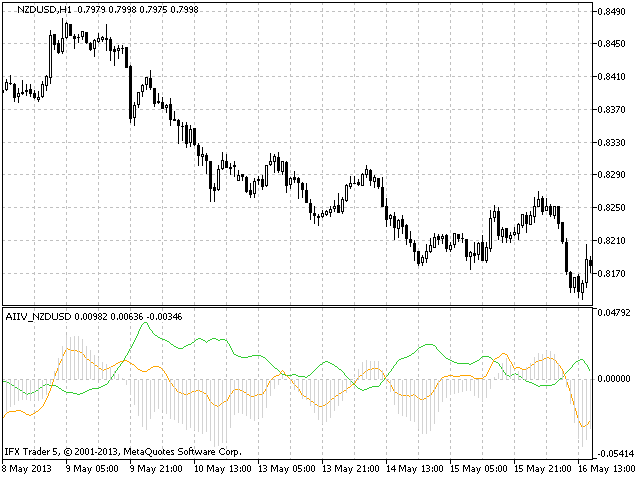 The histogram shows the total movement of the whole pair. If it starts to fall or grow, then the pair changes the direction of movement.